Sealants are easily applied and the process takes only a couple of minutes per tooth.The teeth to be sealed are thoroughly cleaned and then surrounded with cotton to keep the area dry. A special solution is applied to the enamel surface to help the sealant bond to the teeth. The teeth are then rinsed and dried. Sealant material is carefully painted onto the enamel surface to cover the deep grooves or depressions. 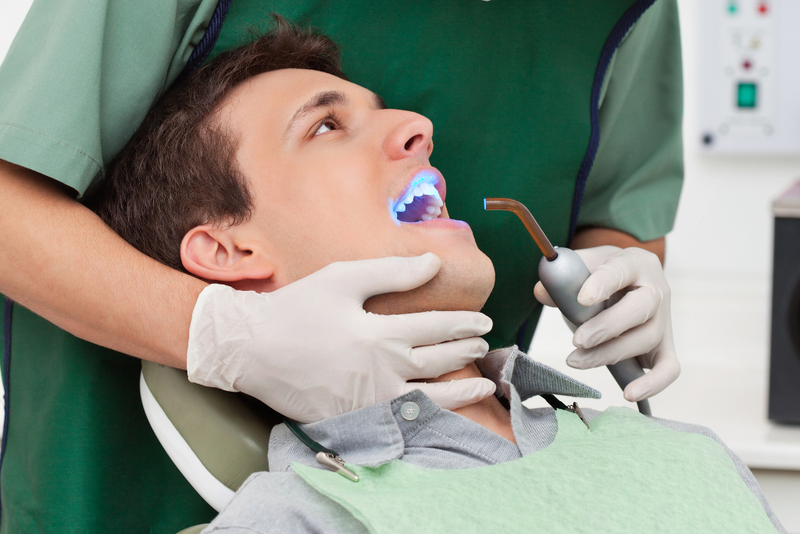 Depending on the type of sealant used, the material will either harden automatically or with a special curing light. Proper home care, a balanced diet, and regular dental visits to the office of Dr. Stewart will aid in the life of your new sealants.